Available in blue and red, supplied in bottles of 50 ml. Made specifically to imprint safely onto meat, this dye safely dries within 3 minutes; allowing you to safely record food standards in an easy to apply hand stamp. Great for home use, whether it's storing meat for the family barbeque or for Christmas dinner; this ink is highly visible. Can also be used for cooking projects and classes, maximising food safety! For use with traditional metal stamp pads. 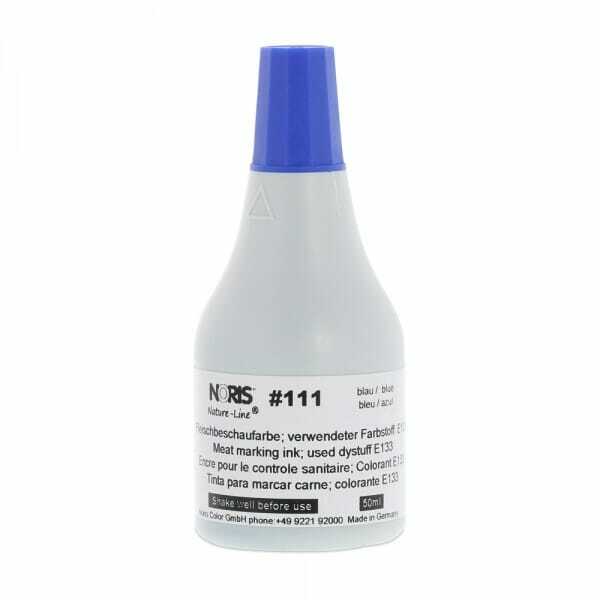 Customer evaluation for "Noris 111 Meat Marking Ink"